With a wave of globalization sweeping across, doing business has become more competitive, though, there are more opportunities to do business ever before. In such a scenario, trade fairs and exhibitions with innovative design and ideas has become an imperative to business development and marketing strategy of a corporate company or a business house. An exhibition stall designing is just not an attempt to increase your chances to get some better business calls; however, it is an activity amidst in presence of your business competitors to let your audience to be motivated, learnt, rewarded, informed, recognized, demonstrating, socializing, supporting, launching and sharing ideas.  Lighting now-a-days is used quite extensively for brining a better environment and atmosphere at exhibit areas. Lighting makes highlighting effects over various attributes of an exhibition stand. One can use from a wide range of lighting effects like wash lights, spotlights or overhead lighting.  The use of an array of different materials like wood, metal and fabric are the most popular choices to make an exhibition stall more fine and splendid. Fabric whereas defines versatility within a stall, wood on the other hand is cheap and is less susceptible to damage and provides a perfect look to interior of your exhibition stand. Metal is used to present it with an advanced tech look to an exhibition stall.  Use of graphics has been now limited for purpose of messaging and dissemination. One can choose from the range of services offered by a graphic design studio that could easily design portfolios to be exhibited on and across at an exhibition stall. 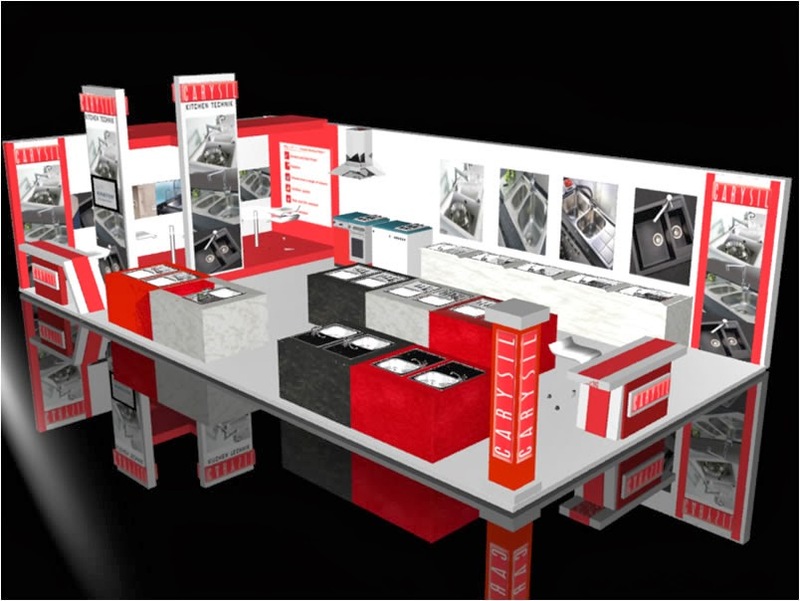  The design of exhibition stall in shape of curve, wave shapes and "tombstone" is an additional feature of stall designing in present times. The use of 3D designing soft ware has exhibition stall activities to be more interactive and appealing to the eyes of visitors. This way, your exhibition stall designing gets a mileage to make your day at the respective trade fair and exhibition stall and get handsome business leads and sale.